Immediately after Qualcomm announced the new Snapdragon 845, Xiaomi CEO Lei Jun stated that his company’s upcoming flagship smartphone, the Xiaomi Mi 7, will feature the system-on-chip. Since then, we haven’t heard any news regarding an official launch date for the Mi 7, but we do know that the company instead plans on unveiling the Xiaomi Mi Mix 2S on March 27th. What happened to the Xiaomi Mi 7, then? According to some rumors, Xiaomi delayed the launch of the Mi 7 in order to add new sensors and possibly change the design of the device. While we can’t confirm any reports about an in-display fingerprint sensor, we have obtained evidence that the Xiaomi Mi 7 may feature a display notch as well as an Infrared Camera (IR) sensor. This is possible thanks to firmware files obtained by @FunkyHuawei, the man behind the FunkyHuawei.club service, which allows users to update, unbrick, or rebrand Huawei and Honor phones for a fee. 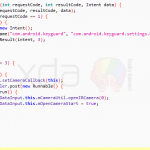 He has shared the files exclusively with XDA-Developers, and we have examined them in collaboration with XDA Junior Member franztesca. Although the Essential Phone was the first flagship smartphone with the display notch, it wasn’t until the Apple iPhone X was unveiled that the trend started to catch on in the industry. Many new smartphones with display notches were introduced at Mobile World Congress, with more to come. The notch isn’t the only aspect of the iPhone that Android device makers have been inspired by, as devices such as the upcoming Huawei P20 and the recent Samsung Galaxy S9 offer software features to rival Apple’s Face ID. 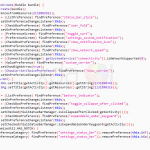 It appears that the Xiaomi Mi 7 may have been delayed in order to follow this trend, according to the firmware files we obtained. When we initially dug through the firmware of the Xiaomi Mi 7, we discovered a few aspects that are unchanged: it will have an OLED display with an always on display feature and the Qualcomm Snapdragon 845 system-on-chip as expected. However, in the most recent firmware files we obtained, the battery capacity listed has changed from 3,170 mAh to 3,400 mAh. This was our first clue that the device is undergoing changes, but upon digging further we found new code referencing display notches and an IR camera in the firmware. 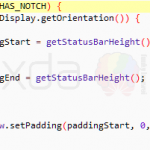 Within the MIUI Camera, MIUI SystemUI, and MIUI Settings apps, we found several references to a notch. 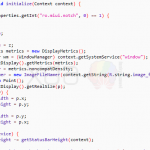 Most importantly, the code is responsible for adjusting the status bar height and hiding the ability to customize the battery indicator and notification icons in MIUI’s status bar settings. 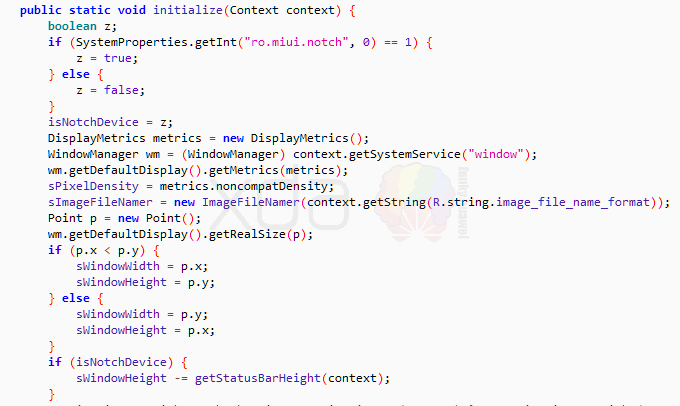 Furthermore, a build property called ro.miui.notch is read, and this property is set to ‘1’ (true) in build.prop. Update 3/12/18: We have found more evidence for a display notch. The following file, named screen_round_corner_bottom_9 can be found within MIUI SystemUI. This is likely an overlay used for testing. Within the MIUI Keyguard app (the app responsible for the lock screen and all its functionality), there’s a new method called openIRCamera. This method is called in several places related to MIUI’s Face Unlock feature. Thus, we believe that IRCamera here refers to an Infrared Camera sensor, which is one of the components used in Apple’s Face ID. 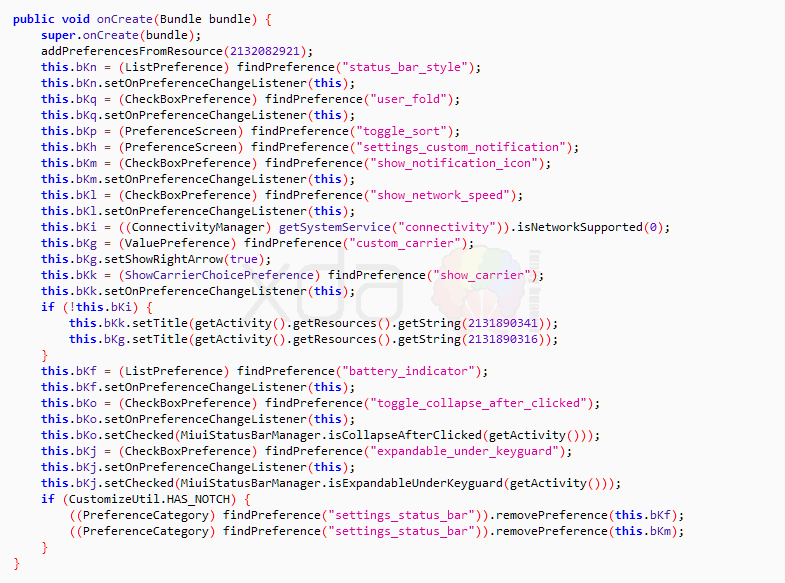 That’s all that we’ve learned in the latest firmware for the Mi 7. If we learn more about the device, we’ll keep you updated on the XDA Portal. Until then, be sure to follow our new Exclusive tag for more posts like this!